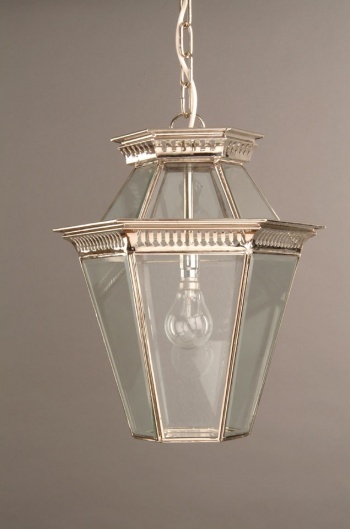 Our BEVELLED GLASS LANTERN makes a real statement. 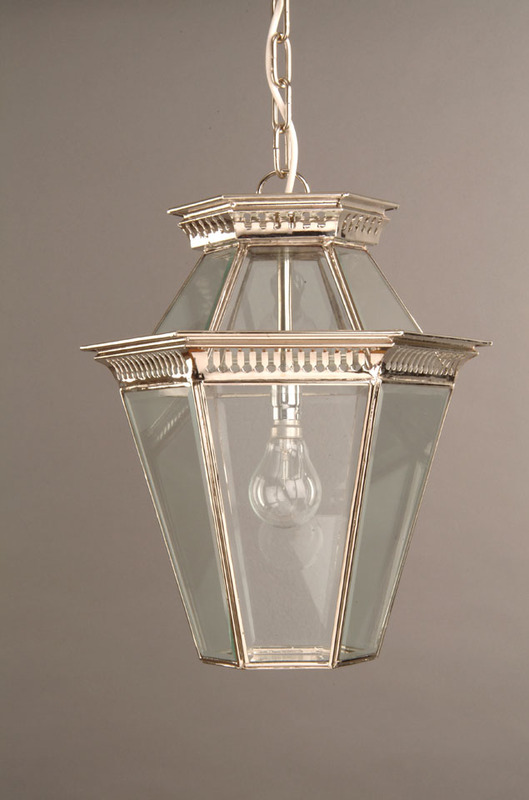 A hand-made 6-sided period exterior hanging lamp, made from solid brass with clear bevelled glass panels. Shown in polished nickel finish.